Mike Tyson - From my corner. Ever since Mike Tyson's release from prison in 1995, he has been under constant criticism about not being in the fighting form that made him the youngest heavyweight champion in history and also probably the most feared fighter of any era. While being one of Iron Mike's biggest fans, I can honestly say that I agree with their opinion, however I am not so critical of him and this does not affect my opinion of him in anyway. Mike Tyson, in his prime, was the greatest offensive and defensive heavyweight in history. He is also probably the best finisher the sweet science has ever seen. Being a long time fan, I am very familiar with the form Tyson was once in and how he has changed since that time. Iron Mike still has the same ferocity that made him so feared as a young champion. He has rid himself of Don King, John Horne and Rory Holloway, which is a big plus - but to gain his previous form, I believe he has to change a few things. 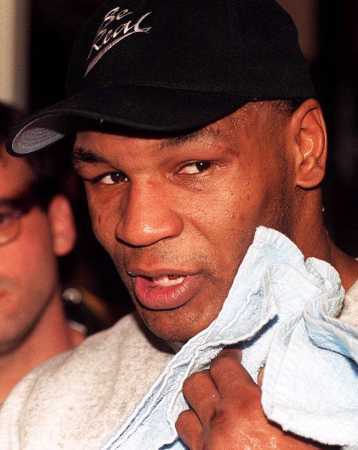 1) Patient Aggressiveness - In his prime, Mike Tyson did not rush into knockouts, they came on their own because of the patient aggressiveness he possessed. Mike knew how to channel his ferocity at the right time and in the right quantities to get the job done. It seems now that Tyson rushes his punches instead of waiting for opportunities or creating them himself. This causes far more clinches than Tyson used to get in. 2) Combinations - The new Mike Tyson seems to look for that one big punch to end the fight, or he throws one-two combinations most of the time. The old Mike used to create opportunities for himself not with the type of punch he through, (although that does have some effect) but with how many he threw. Opponents were not able to deal with the succession of punches that Tyson threw at them and one of those punches eventually found its mark. 3) Head and body movement - When Mike Tyson and Kevin Rooney split, some of the skills that he learned from Cus D'Amato deteriorated, the most important being head and body movement. In his prime, Mike Tyson was the greatest defensive fighter in boxing history. Prior to the Tyson-Spinks fight, he had only been hit twice cleanly by any fighter (that being against "Bonecrusher" Smith and Tony Tucker). Starting with Tyson-Bruno I, Mike began being hit more frequently. I don't know if Mike uses the slip bag with his trainer Tommy Brooks, but this definitely was an effective tool in training in the past. We'll see if this changes at all. 4) Assertiveness - Beginning with the Tyson-McNeeley fight, Mike began letting opponents pushing him around in the ring and setting the tempo of the fight. Mike needs to stop letting opponents bully him and let them know who's boss. Mike also started letting things like cuts and head butts affect his focus in the ring. The old Mike took the bitter with the sweet and worked through it without any complaints. That's one of the things that made him great. 5) The Jab - Mike Tyson has never known been known for a great jab, however it has been a key part of his arsenal ever since his days as a young champ. While Mike does use the jab now at times, he does not use it to the same effect as he once did. The jab creates openings even for an infighter like Mike. I believe more opportunities will be created if Mike uses his jab more often. The keeps opponents off-balance and susceptible to devastating punches that Mike Tyson is capable of. 6) Instinct - In some of Mike's post-prison fights, I have gotten the impression that he thinks too much in the ring. This may or may not be true. The vintage Mike Tyson was thoughtful in the ring, but also let his instincts take over when delivering his deadly combinations. We saw some of that old Mike Tyson in Tyson-Holyfield II when Mike lost control and just started fighting. I think if Mike begins to rely on the instincts bred in him by Cus D'Amato, he can regain the form that helped him create a new era in heavyweight boxing. Well, that's all from my corner. Let me know what you think even if you disagree. E-mail me at really99_1999@yahoo.com. Here's to the soon to be three-time heavyweight champion.